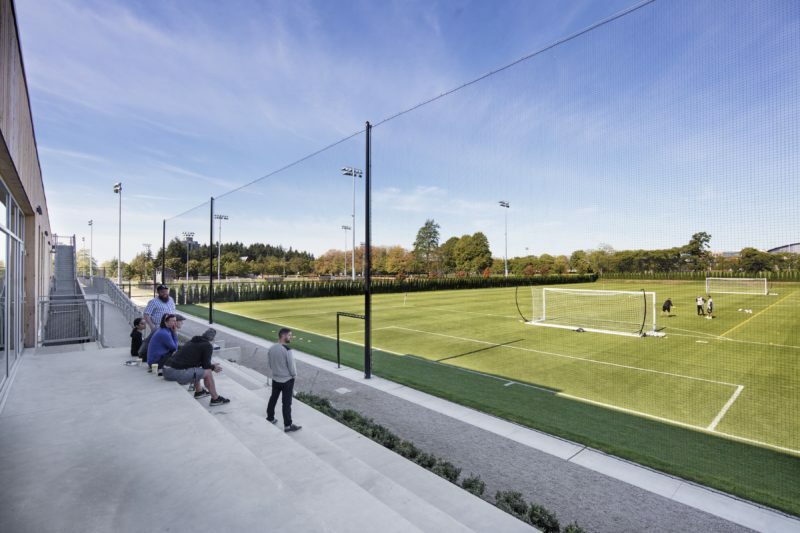 Completed in 2017, the National Soccer Development Centre is a collaboration of Acton Ostry Architects and Brisbin Brook Beynon Architects. 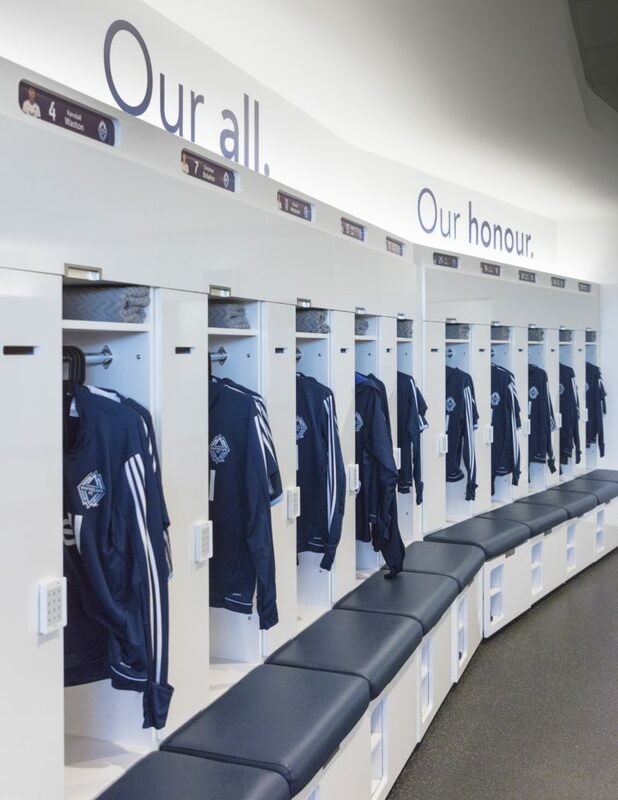 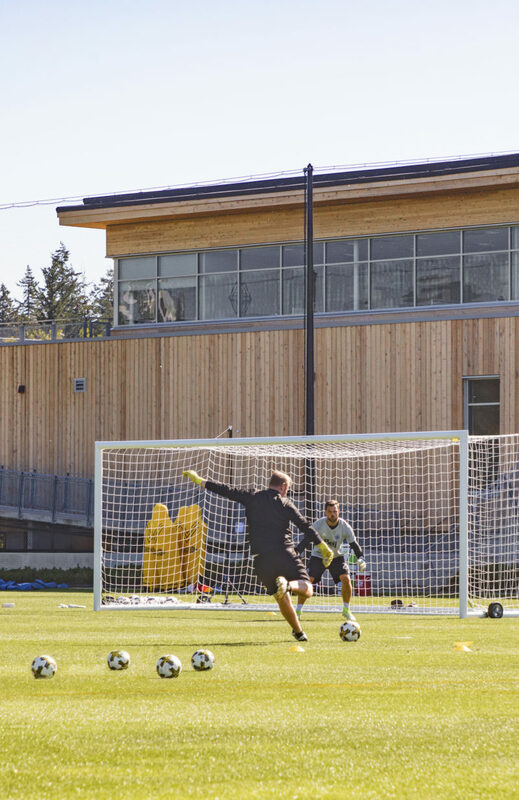 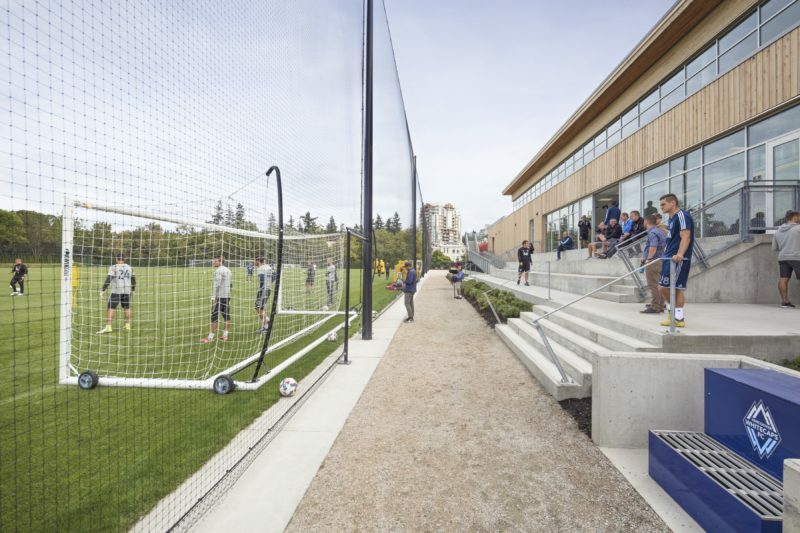 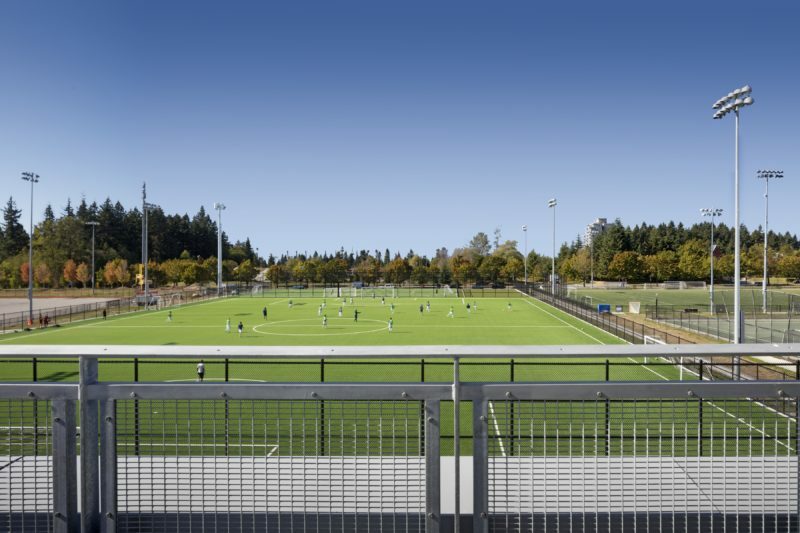 The 3,250 square metre facility is located in the UBC Point Grey campus athletic precinct and is the new home base for the Vancouver Whitecaps Football Club, the UBC Thunderbirds Men’s and Women’s Varsity soccer teams, the Girls Elite REX and Residency teams, and the west coast base for the Canadian Men’s, Women’s and Youth National Teams. 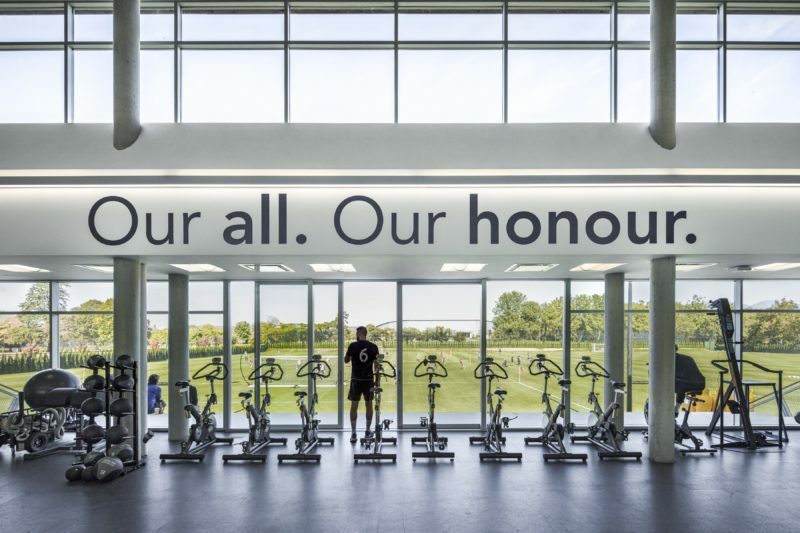 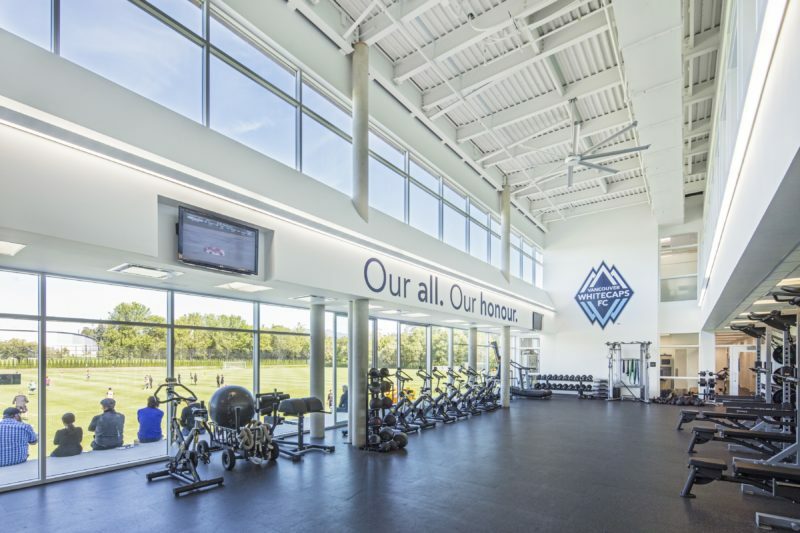 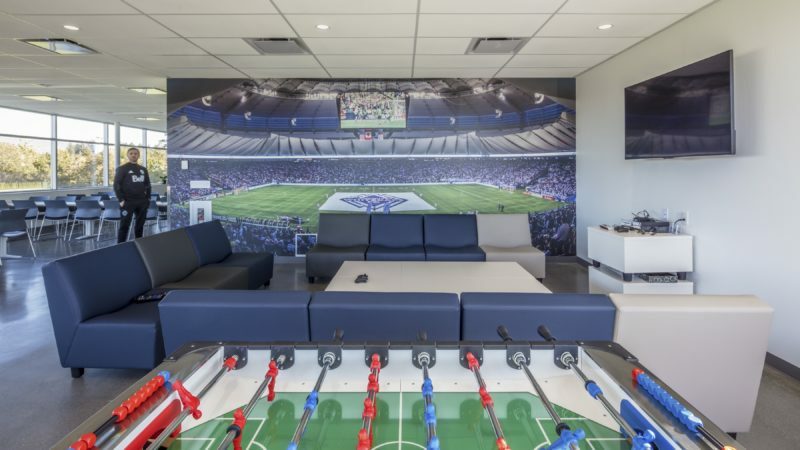 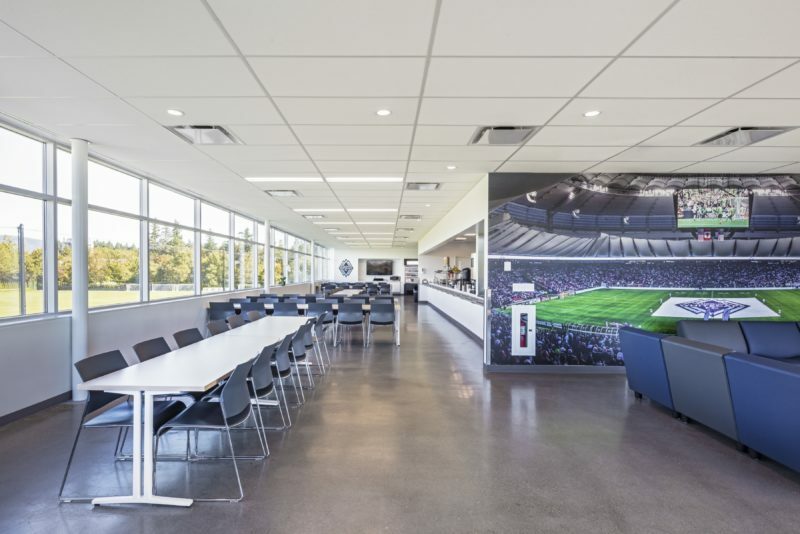 The world-class, state-of-the-art professional training wing includes: weight training and conditioning gym; physiotherapy and rehabilitation; hydrotherapy pool; Whitecaps, USL Pro, and Academy locker rooms; equipment storage, commercial kitchen, dining hall, players’ lounge, coaching and administration offices, conference room, media centre, and two full-size natural turf fields and one artificial turf field. 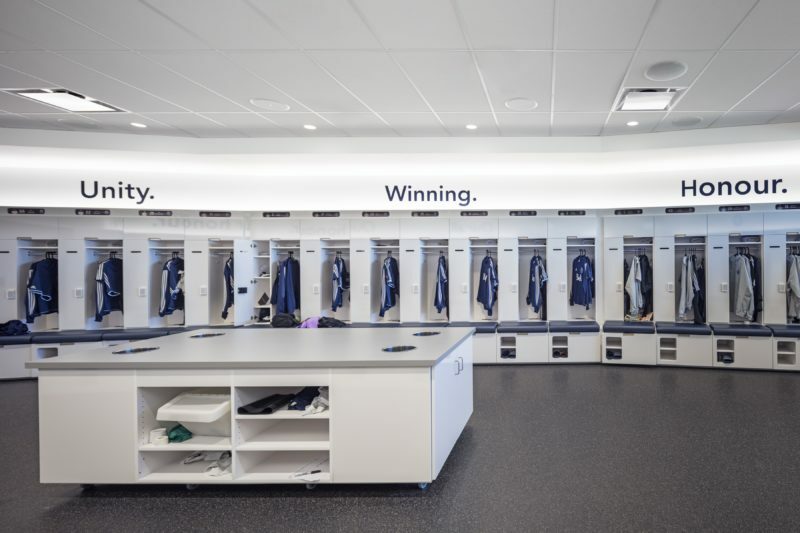 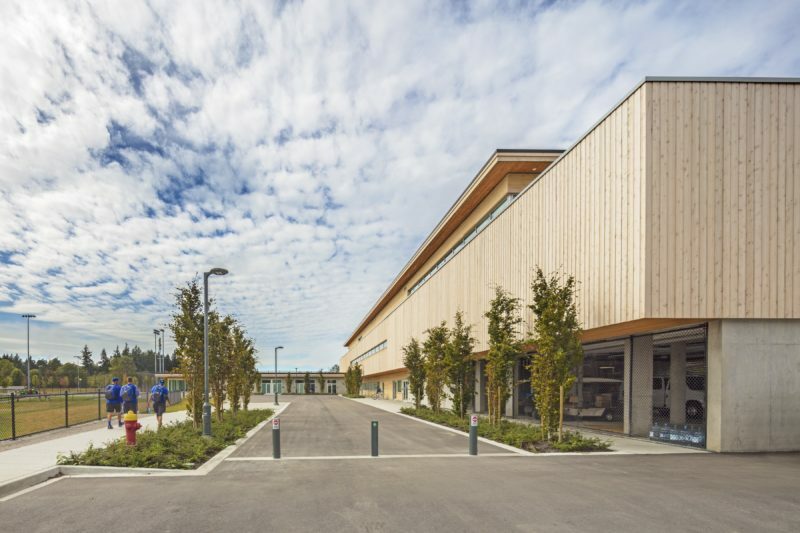 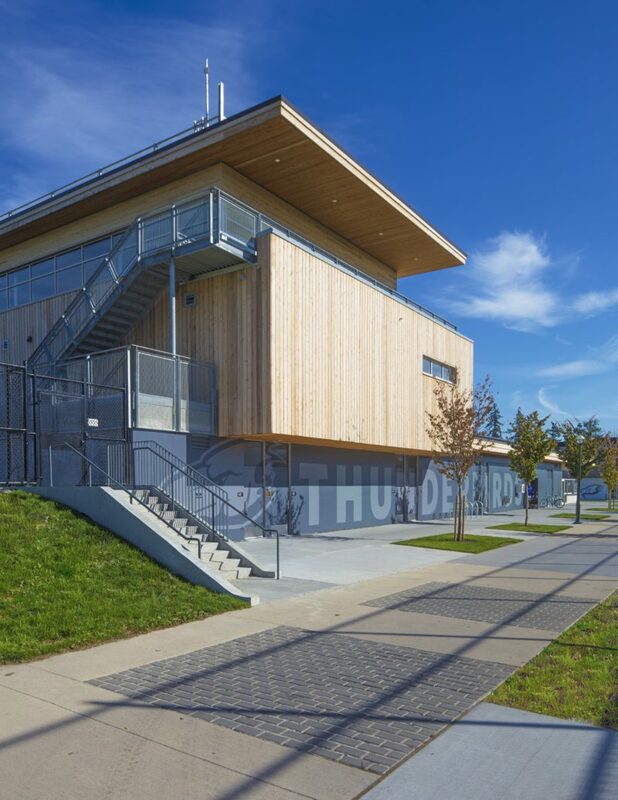 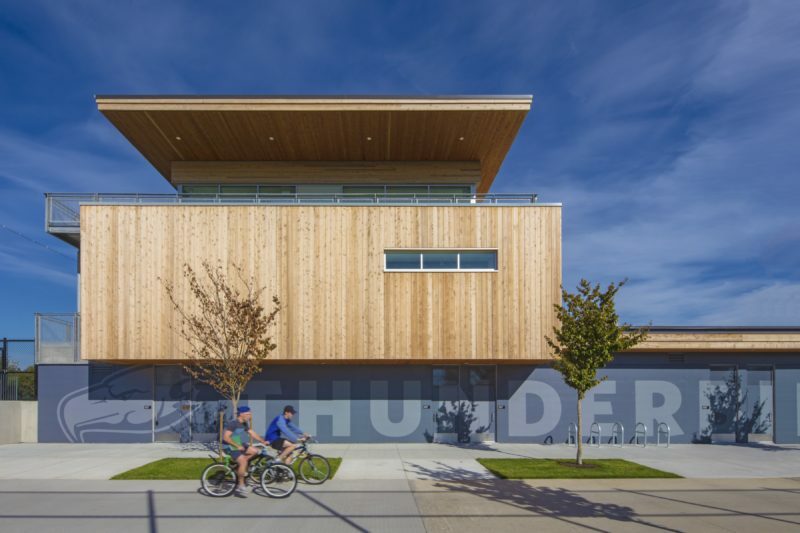 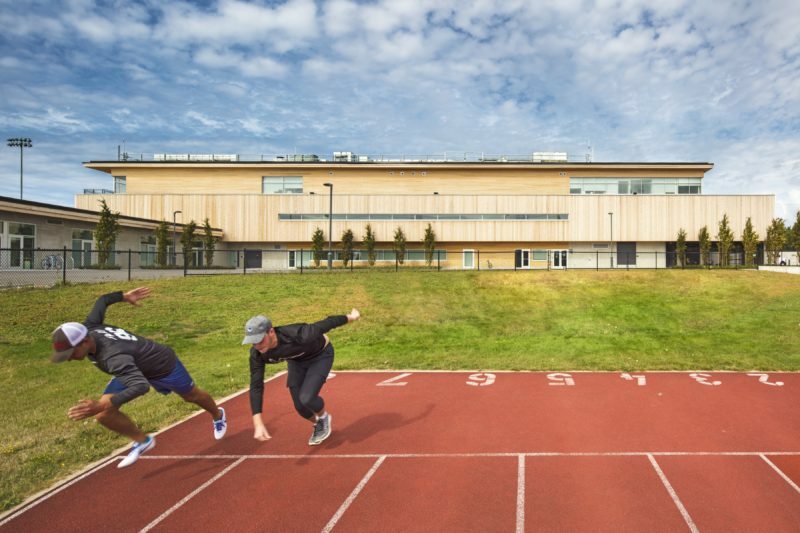 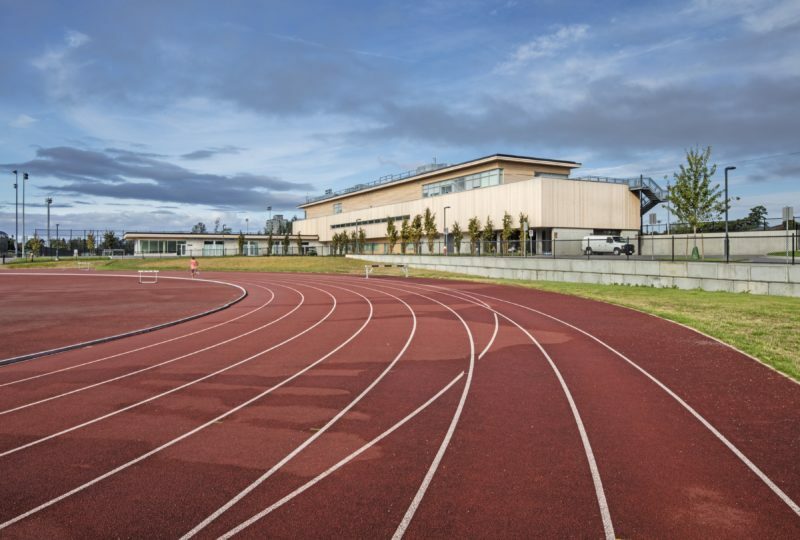 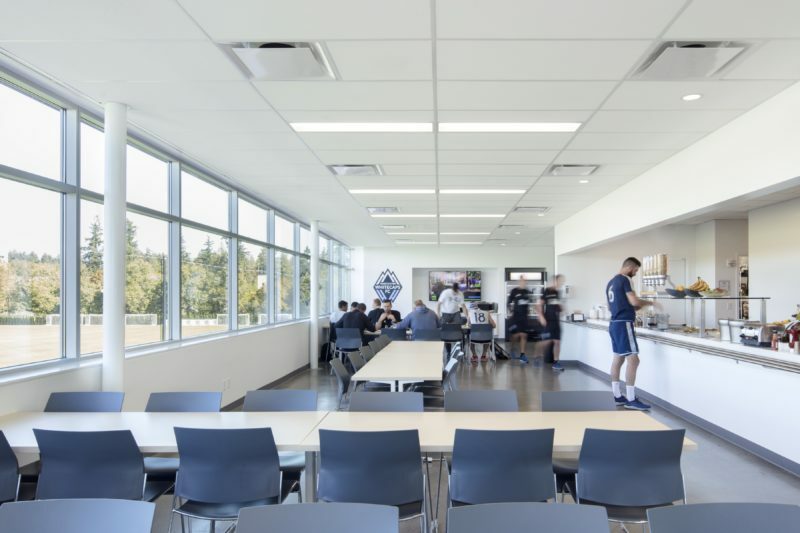 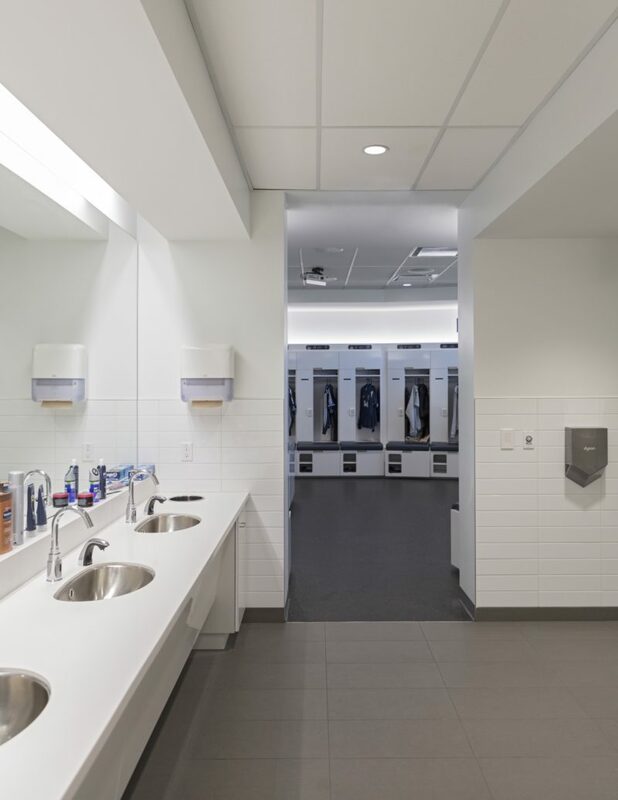 The UBC Thunderbird training wing includes: six locker rooms, physiotherapy and rehabilitation, coaching offices, multipurpose room, concession stand, public washrooms and plaza.